Everything Everywhere has struck an exclusive five-year deal with MasterCard to bring a range of new payment technologies to its customers and accelerate the adoption of near field communication in the UK. The two companies have said they will be creating range of payment products that will make paying for goods and services easier for consumers and small businesses. The first product to launch as part of the deal will be a co-branded pre-paid NFC service that will allow users to make payments with a swipe of their phone, which will be available to Everything Everywhere's 27 million customers to use at more than 100,000 retailers. The companies have not said when this is due to launch, or how the service will be activated. Other products that are in the pipeline are person-to-person money transfers, which would rival Barclays' service Pingit, and loyalty rewards, which would pit it against O2, which is big in this area with its Priority scheme. The two companies also plan to roll out a digital payment service to offer customers a simple solution to pay for services in-store and offline, in a similar way to PayPal. MasterCard has been working with Everything Everywhere brand Orange for the past three years. The Orange Quick Tap contactless payments scheme launched in the UK last June. Gerry McQuade, chief marketing officer at Everything Everywhere, said: "By moving our existing co-branded card offers onto mobile devices, we are closer to a world where our customers will be able to use their phone to pay for travel to work, pay for small purchases and take advantage of loyalty rewards from their favourite retail outlets." Marion King, president of MasterCard UK and Ireland, said: "MasterCard's vision is of a world beyond cash, where consumers and small businesses alike can benefit from simple payments using smart technology." In June last year O2, Everything Everywhere and Vodafone joined forces to speed up mobile payments, in an initiative named 'Project Oscar'. However, the venture is now the subject of an anti-trust probe by the European Commission, over concerns it could stifle innovation, with the ruling expected this month. 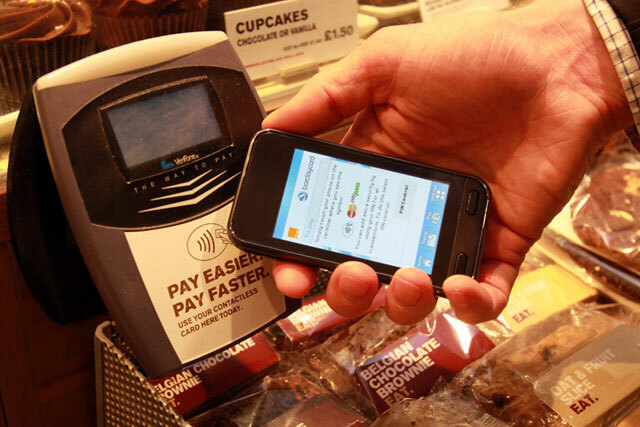 Many industry experts have claimed 2012 will be the year of NFC contactless payments in the UK, while others remain sceptical due to infrastructure challenges and consumer privacy concerns hampering its adoption. However, a recent study by research company Forrester concluded that mobile contactless payment would not reach the mass market for another decade, for a number of reasons, including the current lack of viable business models and the fact that NFC alone will not create a more convenient experience. The news comes in the week after Everything Everywhere was given the green light to bring a 4G network to the UK ahead of rivals.